Also Heston Blumenthal followed the footsteps of many other great chefs with opening a more accessible type of restaurant. But different from others he created a concept in which dining has been transformed into a unique experience. 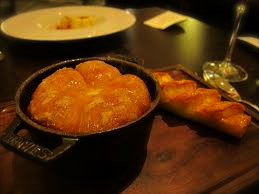 Dinner by Heston combines creativity with British traditional dishes. This fine dining brasserie can host up to 110 covers and operates in two shifts, it is a less pricy alternative than his 3*restaurant ‘The Fat Duck’ and getting a table is significantly easier. Dining’s creativity has already been rewarded with one Michelin star and last year this concept surprisingly entered the ‘World’s Best Restaurants’ list. Being ranked number 9 and even beating the Fat Duck (which ranks 13th). 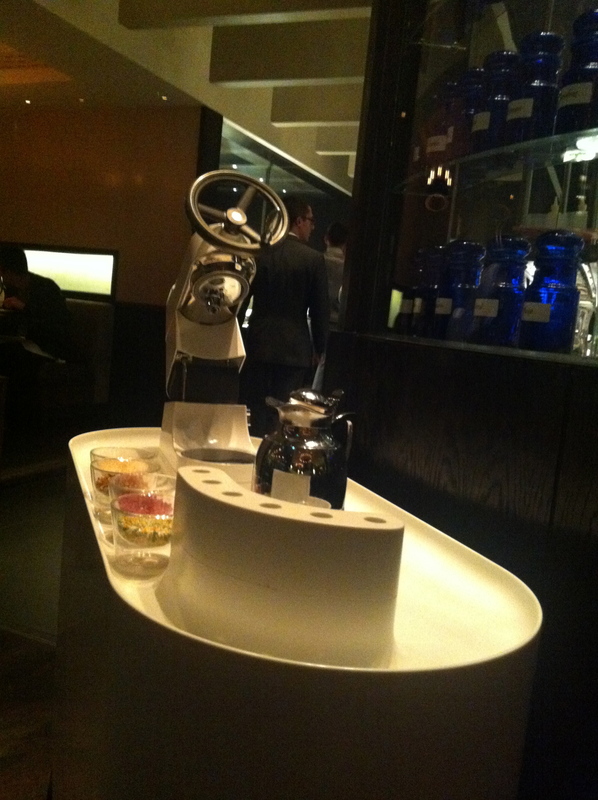 Heston is following truly the trend of restaurant visits becoming more and more a full experience. 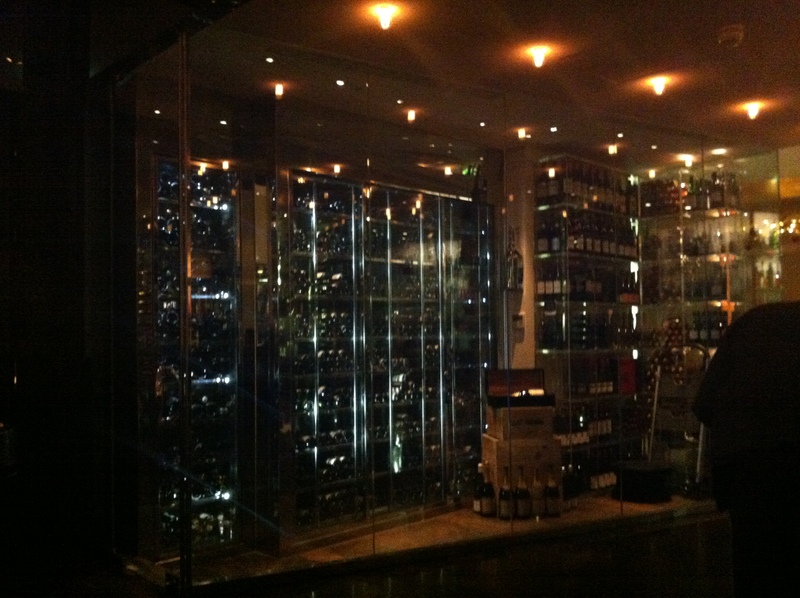 Dinner by Heston is a culture & history storytelling concept. The menu is like a library of British food history. What is old becomes new again, no total molecular hocus pocus at this place. 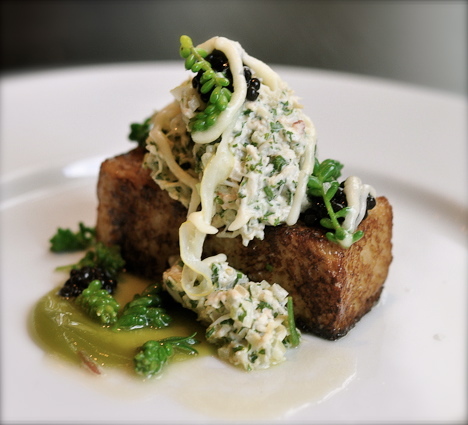 Every dish shows a modern way of a traditional course. The inspiration goes as far back as to the sixteenth century. 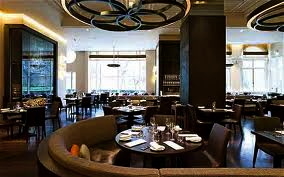 The restaurant is located inside the luxurious Mandarin Oriental hotel with a view over the green London Hyde Park. Passing through the wine cellar promenade we arrived for the late shift. 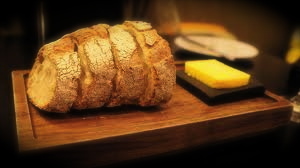 An amuse was not served but the bread & butter was of top quality. 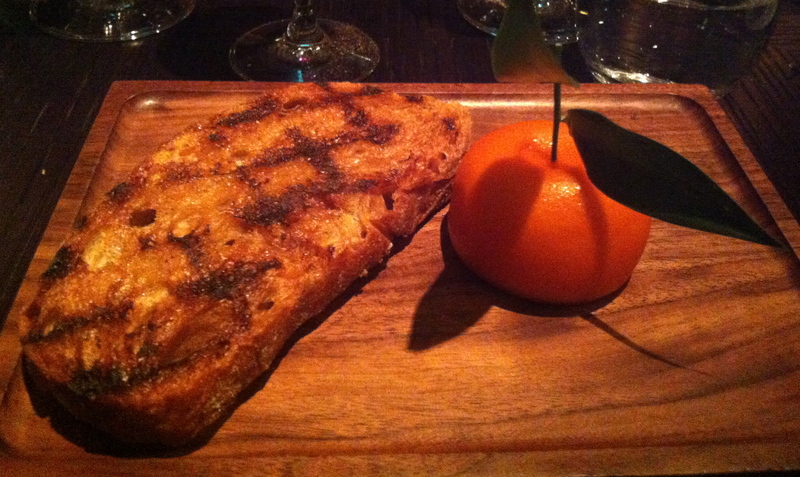 Meat Fruit (15£): Mandarin, chicken liver & foie gras parfait, grilled bread. This by now well known dish was announced as the ‘signature dish’. In the time it was very common to serve as entertainment meat courses disguised as fruit. The parfait, which is dipped in a paprika gelatine mixture, looks exactly like a mandarin. Inside the parfait was smooth and rich; this dish alone serves a re-visit! 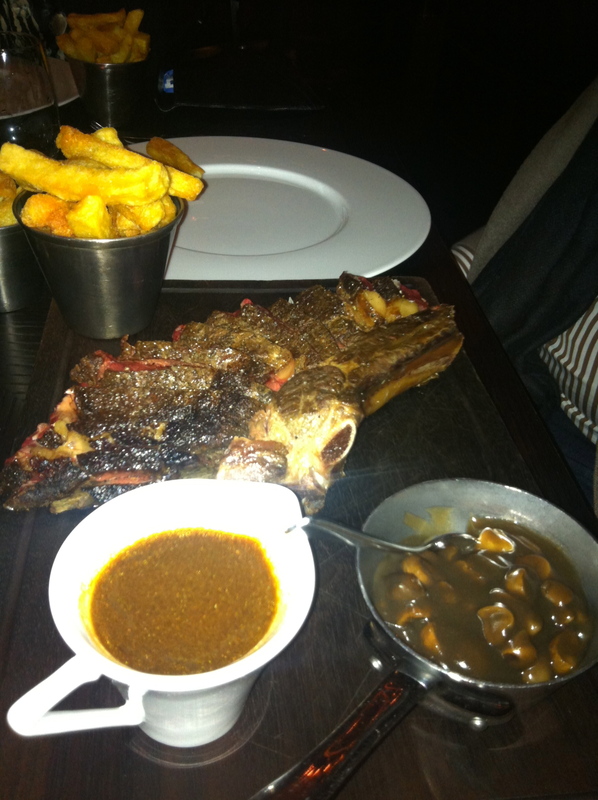 Bone in Rib of Hereford Prime, mushroom ketchup & triple cooked chips (£72 for two): The dry aged beef has been cooked over wood and charcoal embers. Honestly spoken these triple cooked chips come close to our best Belgian friesJ. Tipsy Cake (12£): spit roast pineapple. Inspired by the English cookery book J.H.Walsh from 1810. The hot cake out of the oven was soaked in brandy and tasted like a doughnut. On the side a spit of roasted pineapple was served. The pineapple had a great flavour and was perfectly roasted, the cake for me was to heavy. 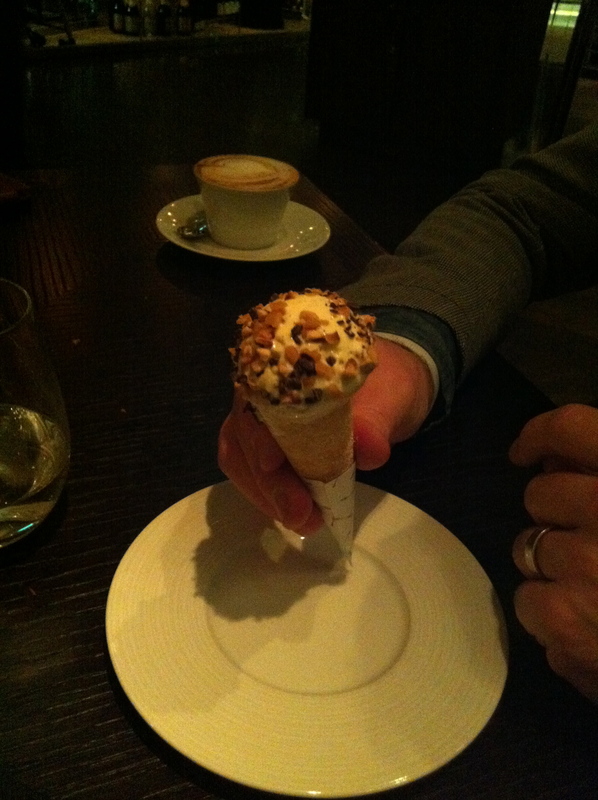 Ice cream by Heston: This post desert experience showed a molecular touch of Mr Blumenthal. 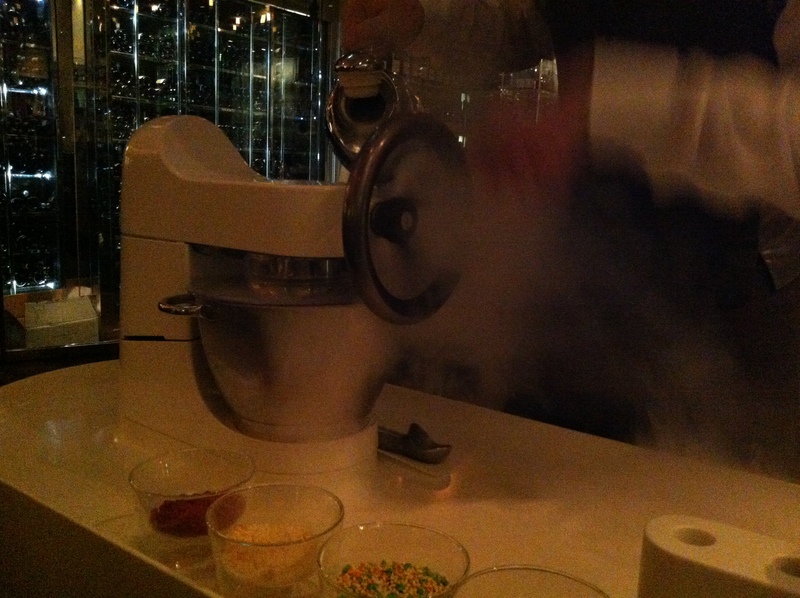 The Ice Cream trolley works by turning a hand crank in order to mix liquid nitrogen with vanilla custard. The show must go on, I love being a kid again! 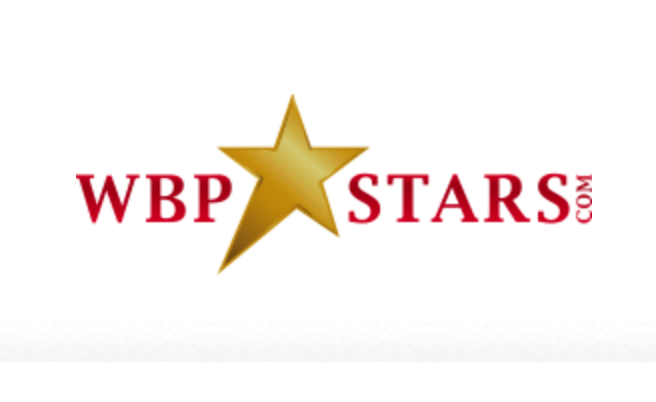 For sure this food experience deserves the given attention by serving innovation with fully flavoured dishes. A world’s top 10 rank is not my score but this restaurant came with the right concept at the right place in bustling foodie London. 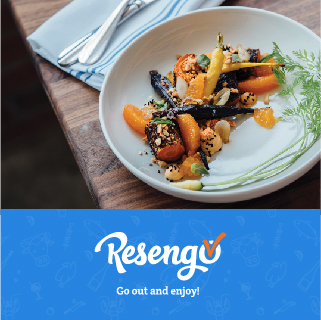 A place where lot’s of chefs go for their portion of Food Fun! Aw, this was a very nice post. Taking the time and actual effort to create a very good article… but what can I say… I procrastinate a whole lot and don’t manage to get anything done.